Filming will begin later this month on Blue Water Empire, a new ABC docudrama telling the true story of the Torres Strait Islands. Filmed on location in FNQ, with mostly local cast and crew, the project comes from producers Greer Simpkin and David Jowsey (Goldstone, Mystery Road) who have teamed up with producer / writer / performer Aaron Fa’Aoso (The Straits, Black Comedy, League Nation Live). 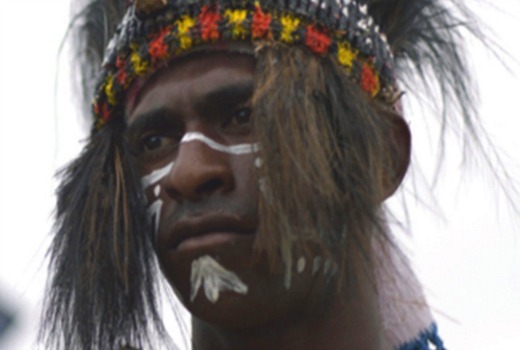 The three-part series will combine drama with archival footage and digital effects together with key interviews, to explore how Torres Strait Islanders have sustained their cultural heritage throughout the impact of 200 years of European settlement. Richard Finlayson, ABC Director of Television said: “Blue Water Empire is a powerful and moving account of the dramatic events and human stories that form the history of the Torres Straits Islands. Produced in conjunction with Screen Australia and Screen Queensland, it will air in 2017. The series starts in traditional times and takes viewers through to the arrival of the missionaries, the “coming of the light”, and on to the massive changes brought to the Islands by the explosion of the pearling industry and the seismic events of WWII. The series also explores the contemporary history of the Torres Strait Islands, a story rich with politics, resistance and racism, and the impact of the mass migration of Islanders to the mainland, as well as cultural renewal and the contemporary expression of Torres Strait Island culture.